Twinfant Tuesday: How Drive Thrus Can Save Your Sanity | How Do You Do It? These were all good sources of advice. We do not have a drive up service for Walmart, but we do for Harris Teeter. My twins are 21 now and when they were infants, not every gas station had pay at pump. I would have to drive around to find one which was often a pain. No drive-thru’s in Thailand unfortunately but they do pump the gas for you. Our tot wakes the minute you switch off the engine tho. Fabulous! I fantasize about a world that offers a small grocery drive-thru service….bread, milk, papers, whatever…. How often are you driving home, babes asleep and realise you need milk…or is that just my disorganised life?? Beautiful babies, by the way! Anna Brophy recently posted IF THERE WAS NO IPAD…. 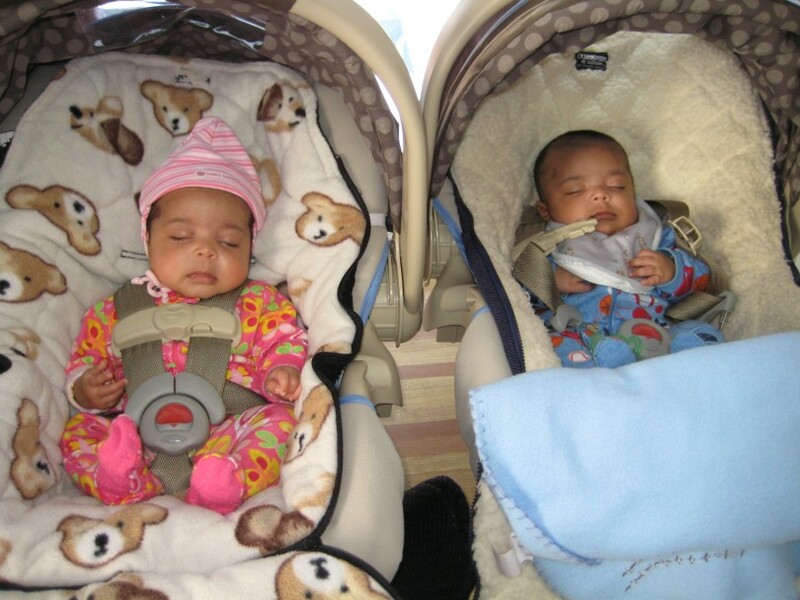 Jen @ 4,128 miles recently posted Siblings – please help! Kerry recently posted Can You Choose Happiness? Great ideas!! I would love any drive through of any kind here so totally jealous of all these options!! Claire @ life love and dirty dishes recently posted Why Does it Always Rain on me? Hehe a really funny idea. My youngest wakes as soon as the car stops moving. It’s infuriating!!!!!!! Definitely not a relaxed passenger. Mrs H recently posted Your current behaviour has got to stop!